It is really is that red! Such a great colour. 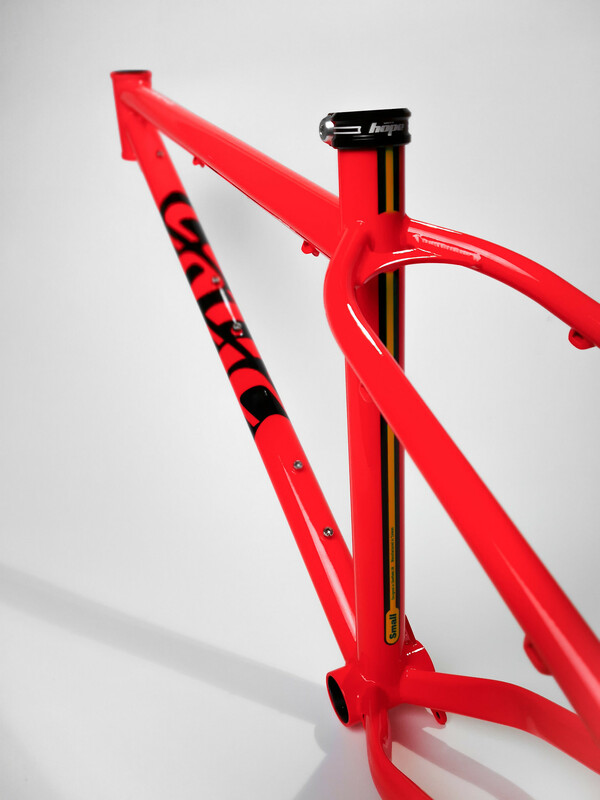 As soon as the first bike is built we will shoot that and let you see those pictures as well. 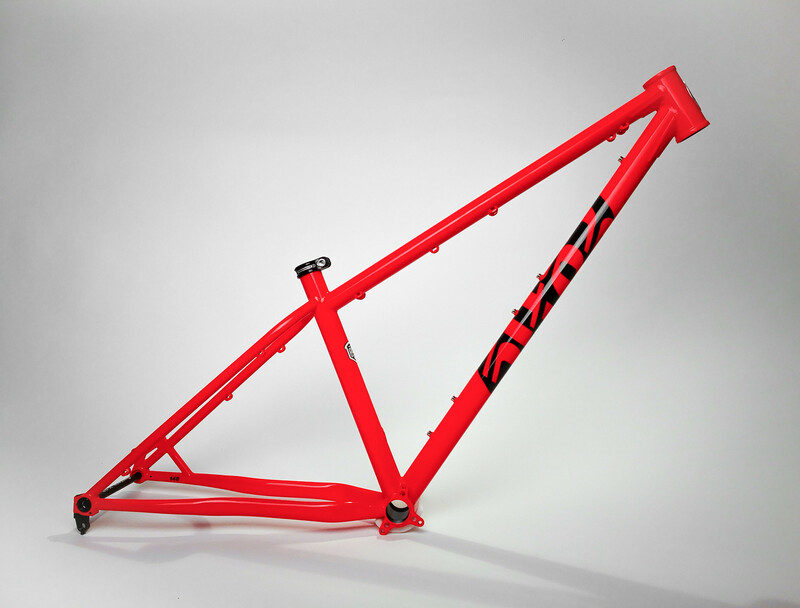 The small green demo bike will also be up for sale as we will be building this frame into the new small demo bike. And in case you are wondering why the signature wishbone is missing from the rear end, it's because this is the small frame. As we made the frames more compact with Longshot geometry, on the smallest frames there simply isn't space for a wishbone. 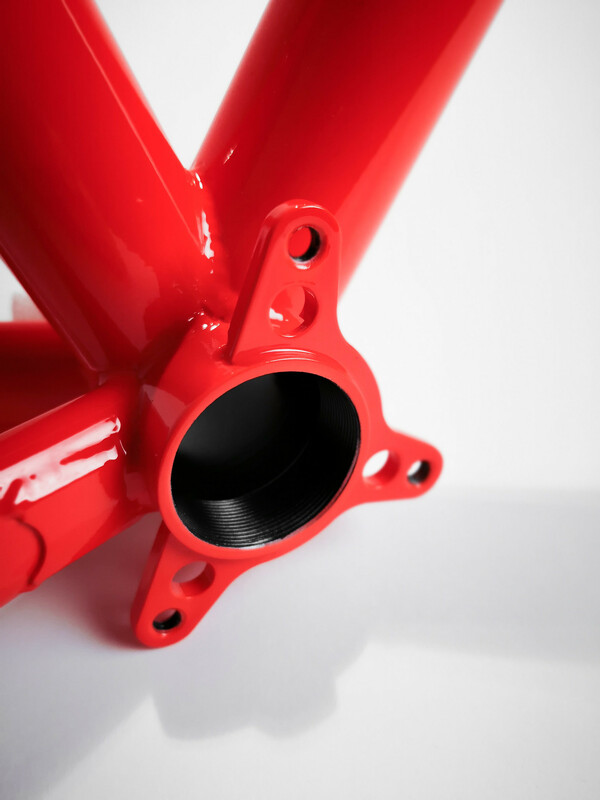 The medium, large and XL SolarisMAX frames are all wishbone rear ends though. It doesn't make any performance difference, I just like how the wishbone looks if it will fit. If you're wondering why Red Dwarf for the name, partly it's in keeping with the stellar theme of our other SolarisMAX models; Dark Metal and Cosmic Black. It's also because a few of us here - myself very much included - are old enough to remember this with great affection.